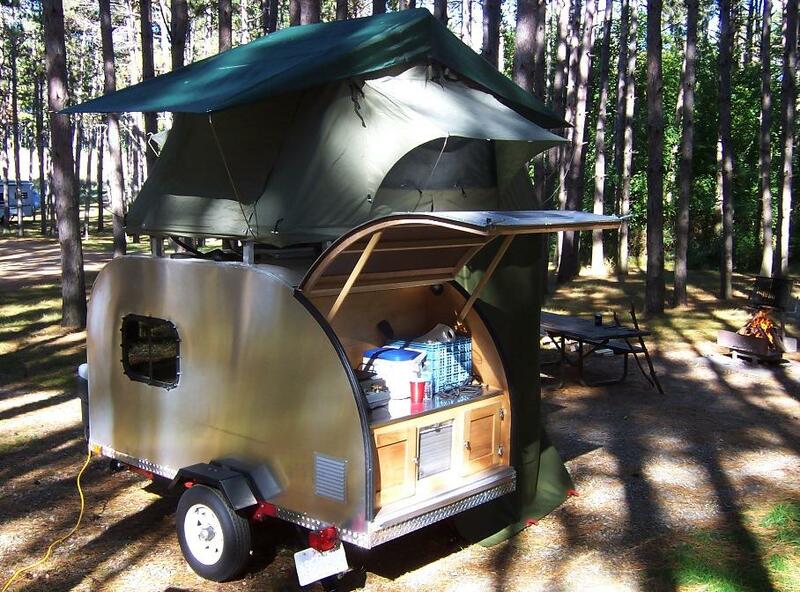 We at RVShare have talked about our fondness for teardrop trailers before, and a recent article in 50 campfires has only rekindled our love of these tiny trailers. 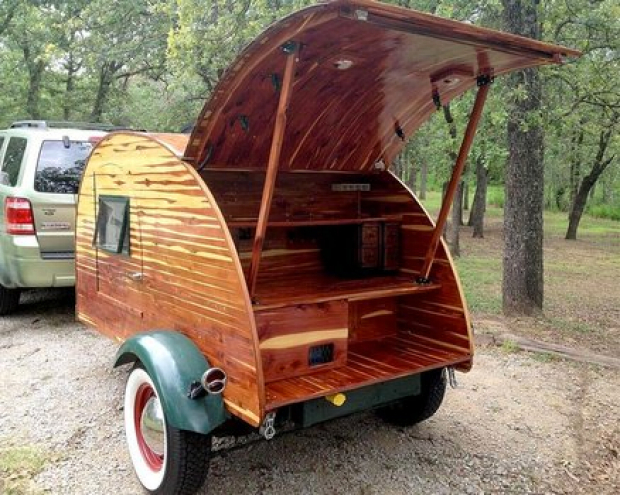 Their list of 10 unique teardrop trailers is chock-full of trailers that recall simpler times and invite those of us with wanderlust to explore the world beyond our front door. Let’s review those trailers. But beware! 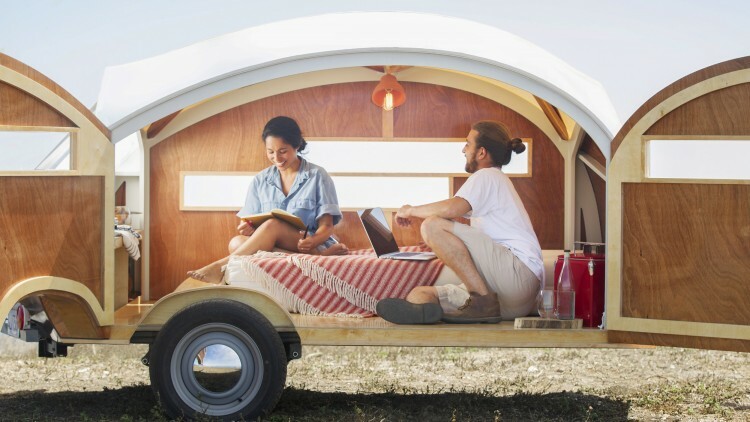 You might just find yourself falling head over heels for the nostalgic charm of Teardrop Trailers. 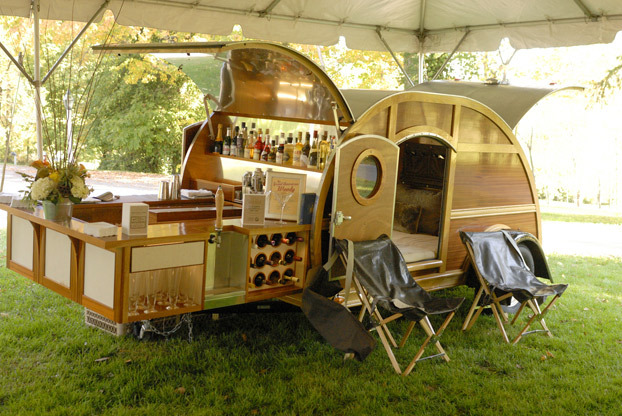 This teardrop trailer was constructed as part of a celebration for the 75th anniversary of the Keeneland Race Track in Lexington, Kentucky. 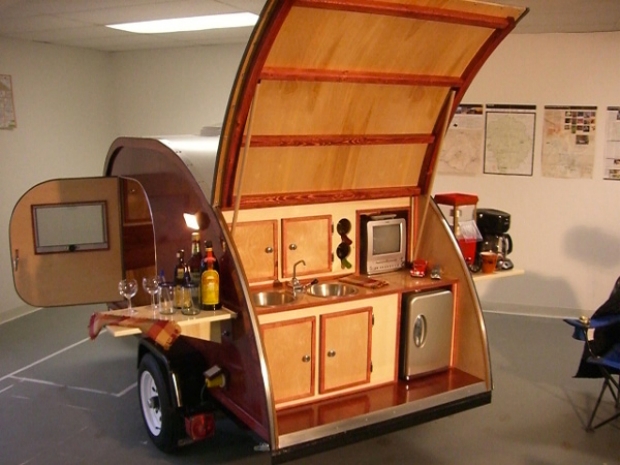 The trailer functions well for road trips, but for the purpose of the party, it makes a pretty fantastic cocktail bar as well! 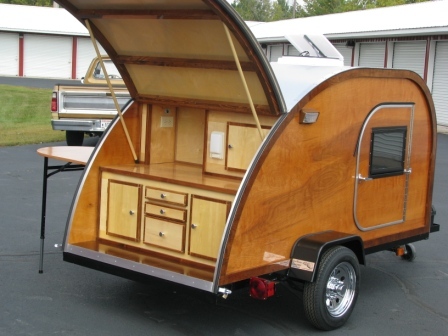 This trailer combines rustic and modern aesthetics designed to create something truly unique. 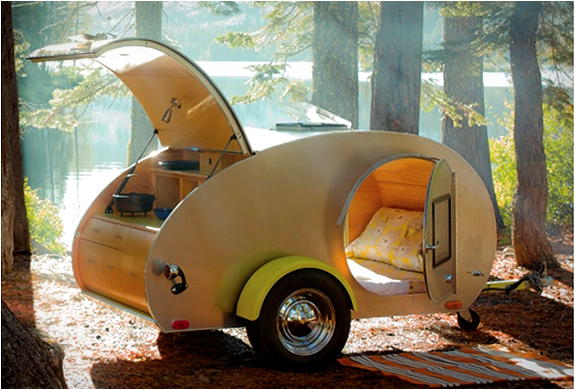 Perhaps the most striking part of this teardrop are the side doors that allow campers to enjoy the advantages of inside and outside at at the same time. 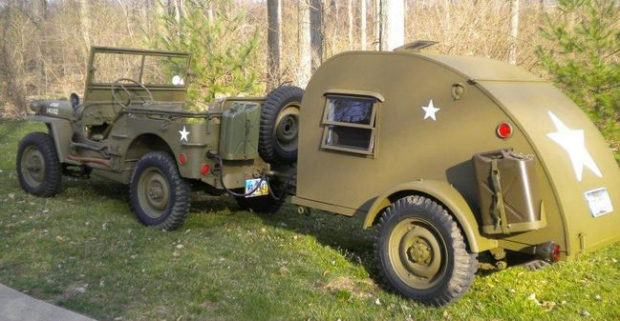 If you’re something of a military enthusiast, or simply want your trailer to blend in with the natural surrounding, this is the teardrop for you. 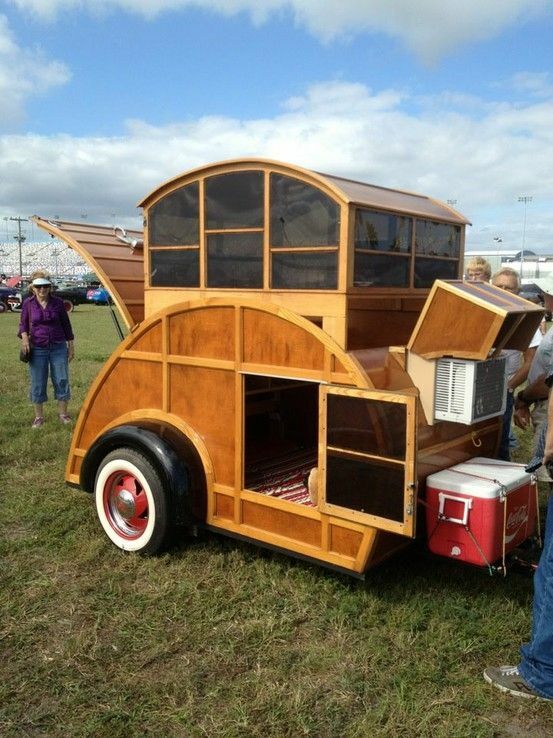 Here’s one design that reminds us that there’s always room for innovation, whatever trailer you might have. The rooftop style tent units allow owners to easily add more sleeping space to the existing camper, creating a happy middle ground between a tiny trailer and massive RV. 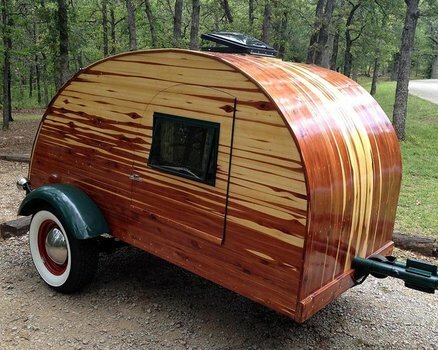 User BenchDawg, on Lumberjocks, is responsible for this beauty of a trailer, made from cedar to resemble the original teardrop trailers built in the ’30s and ’40s. The trailer is almost entirely handmade, constructed on top of a rusty old homemade discarded trailer frame. Find out more about the process here. 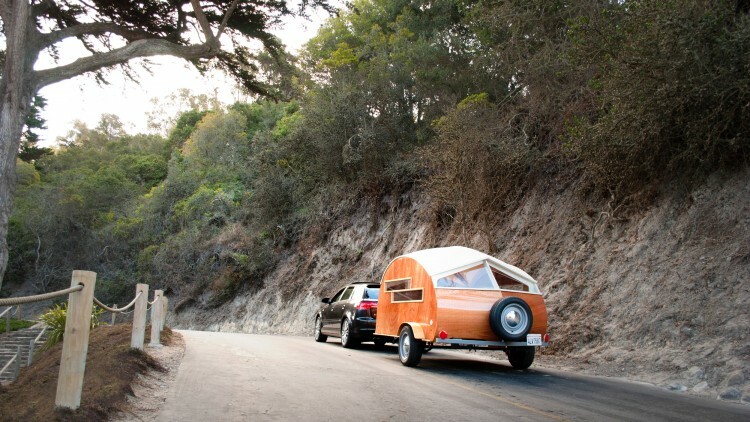 Above, a tiny vintage Fiat pulls a tiny vintage teardrop trailer. It’s a match made in automobile heaven, as the two red-and-white miniature vehicles compliment one another perfectly. Oddly satisfying seems the appropriate description. Next stop: the malt shop! Another design trapped somewhere between modern and retro, incorporating clean lines with ’70s style wood paneling. 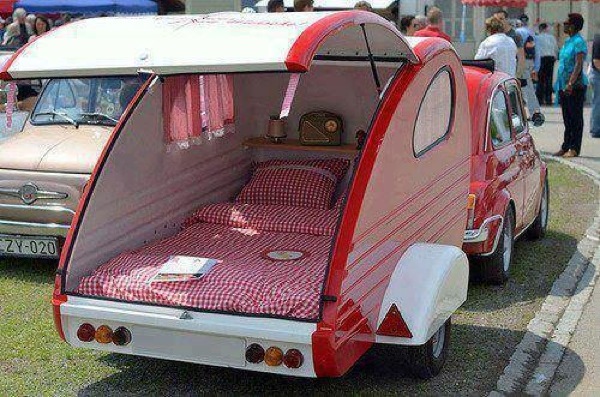 The spacious pop-up design and added air conditioning are extra bonuses. 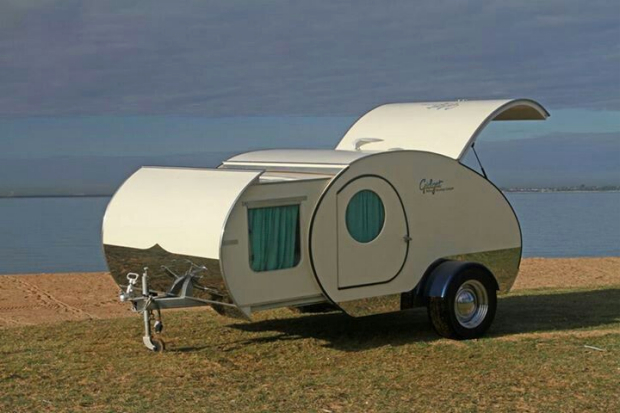 The Australian-made Gidget trailers are certainly unique in their expandable design which allows for a compact travel experience with a spacious slide-out lounge for relaxation that nearly doubles the indoor space. Gidget offers three different designs to choose from. And sometimes you don’t need any pop ups, slide outs, or any other frills. 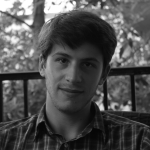 You just need something elegant, clean, and simple. Travelers can find all that from the “Vacations in a Can” company. 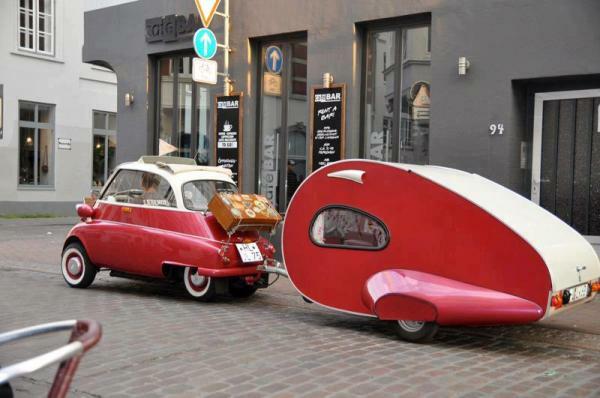 They specialize in vintage custom trailers available for purchase or rent. 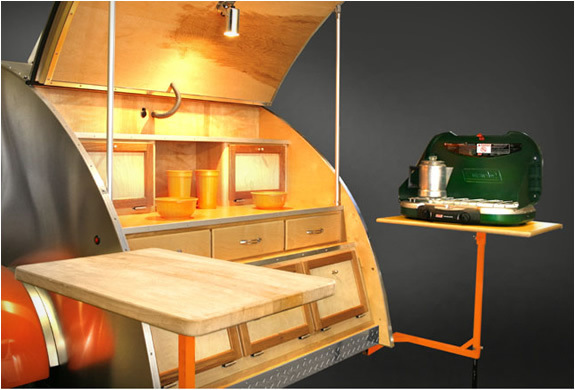 The units sold by Big Woody Campers follow in the same vein of simplicity, but their kitchens are really something else. They offer organized storage and cleanliness while on the go in the great outdoors. Not even to mention a built-in wine rack, TV and DVD player for a bit of added comfort. 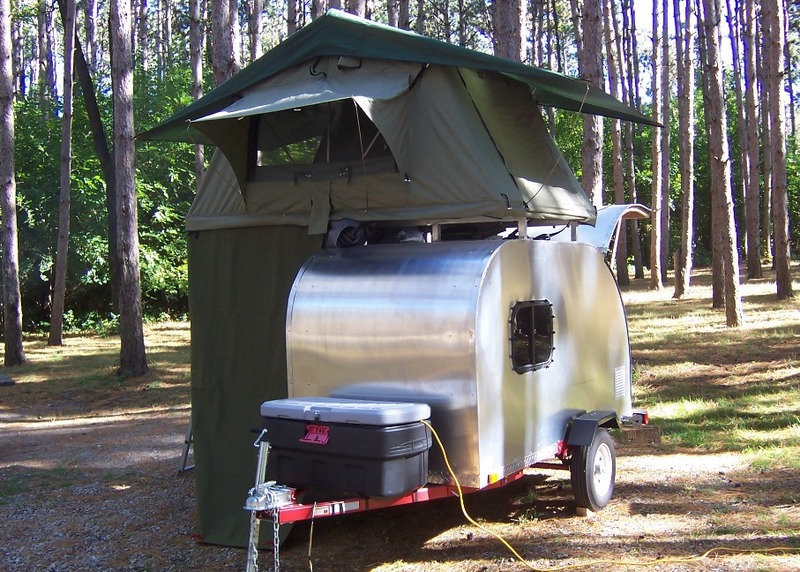 Let us know if we missed any awesome teardrop trailers in the comments below, or simply let us know which ones are your favorites!